The Jones Lunar brand from Jones Interiors is an impressive collection of metal & wooden components, combined to create a modern and stylish solution for your window treatment. Please watch our YouTube video that talks you through the information below and shows you the products. One of the key selling points is its versatility. We have pulled the products together on our website as complete pole sets to make it easier for you to shop the range. We have however offered flexibility and have all the poles listed with or without rings, and with 3 different bracket options 7cm, 11cm or ceiling fix brackets. However, the range is totally mix and match so please get in touch (sales@thehomeofinteriors.co.uk or call us on 01625 449039) if you’d like a bespoke quotation pulling together to meet your requirements. 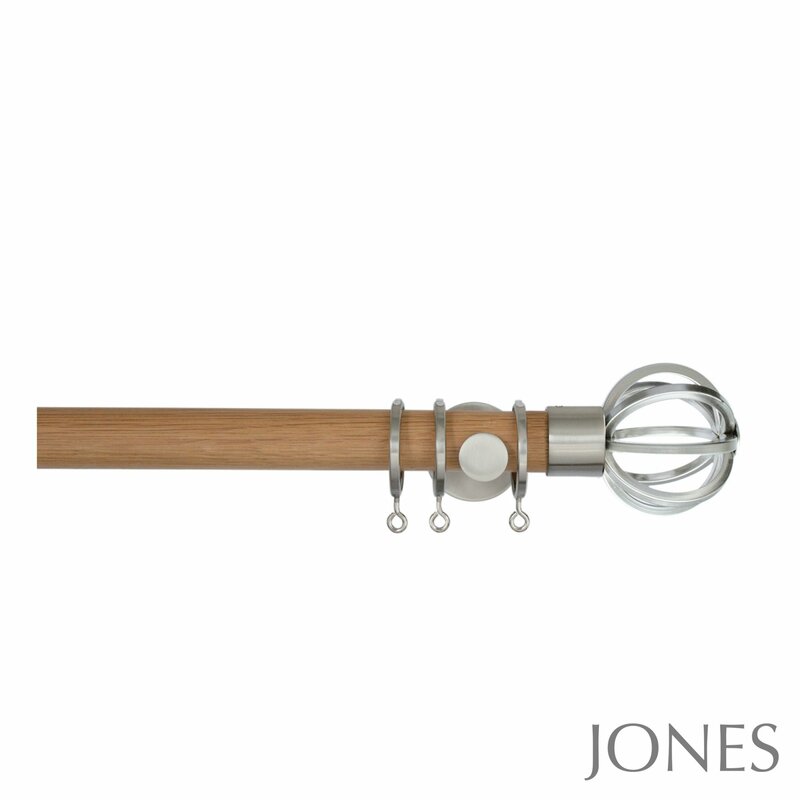 Please click here to view the full Jones Lunar range of curtain poles on our website. There is also a beautiful light oak pole available with a selection of 3 light oak finials (oak end cap, oak sphere, oak barrel). This is a stunning pole and looks very natural to co-ordinate with oak doors or other oak furnishings. The metal finials (cage finial shown below) also work well with the light oak pole. 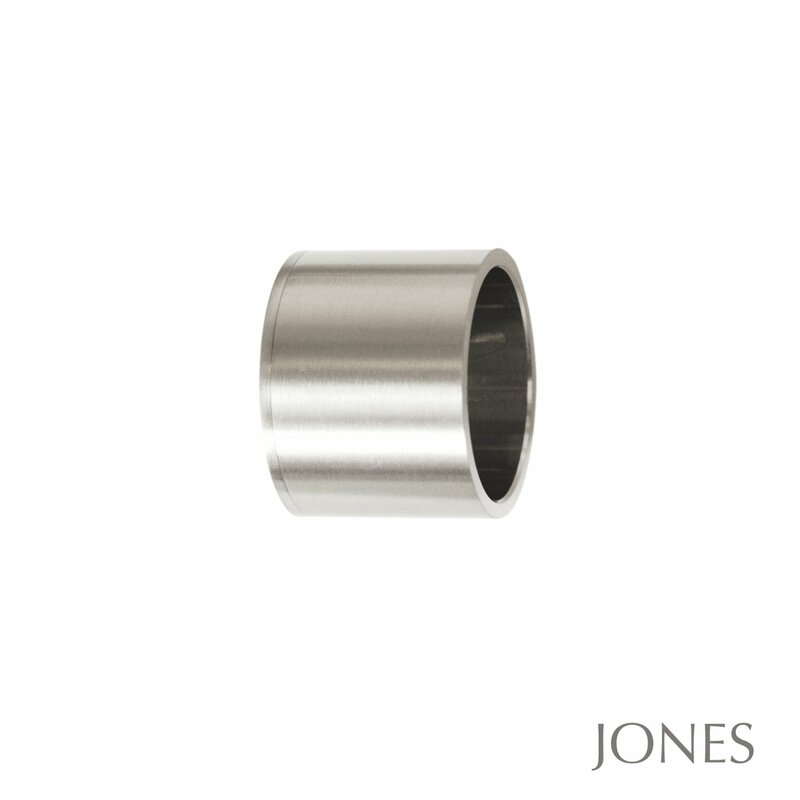 The chrome & matt nickel curtain poles are available up to a 300cm length as a single pole. This means you can join 2 together with a joining piece (that goes inside the metal poles) to give you a 6m width. This is fantastic for extra wide windows or bi-fold doors. 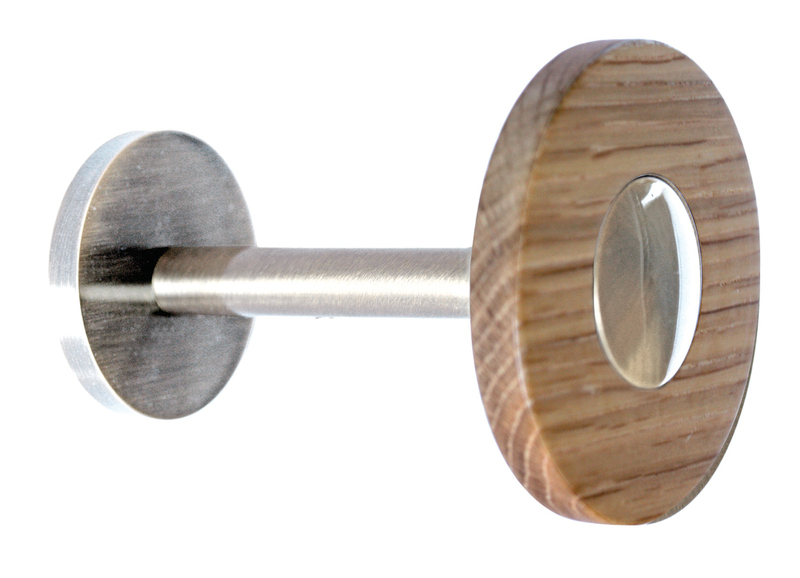 The burnished brass curtain pole is only available up to a 240cm width as a single pole so 480cm is the widest possible in the black nickel finish, and the light oak is available up to a 210cm length as a single piece, giving you a maximum width of 420cm. 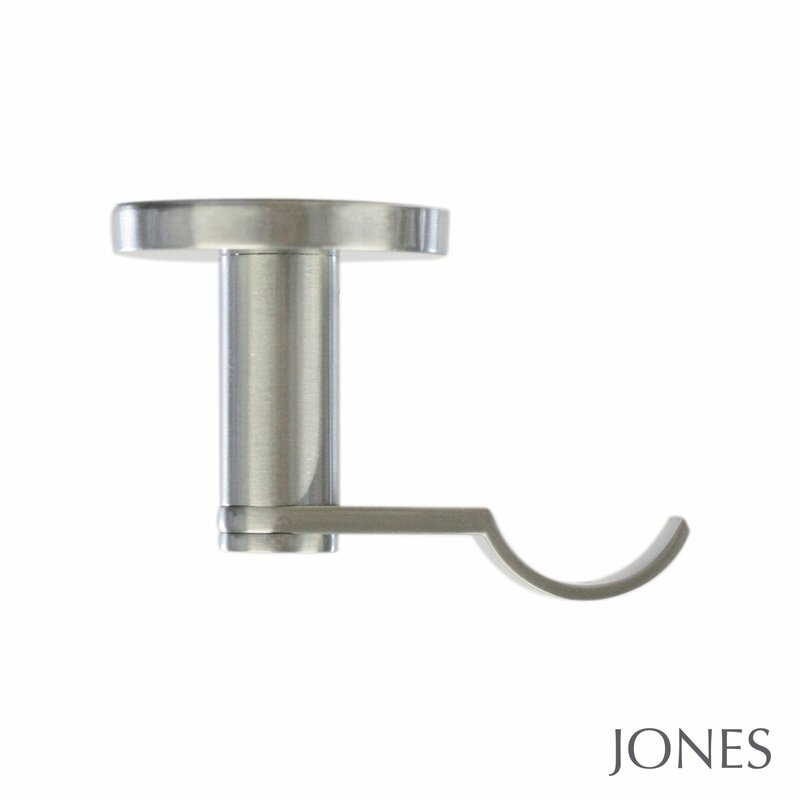 There are several bracket options in the Jones Lunar range of curtain poles. All the brackets are exceptional quality and are simple and stylish with concealed fixings. They are easy to install as well. The metal back plate fixes to the wall, then the bracket cover hides this and the bracket is then attached and tightened with an allen key (this is shown in our YouTube video). The 7cm and 11cm brackets are the standard wall fix brackets. The only difference between them is how far they extend away from the wall. The 7cm and 11cm measurement is from the wall to the centre of the pole (shown below for the 7cm bracket). You may wish to consider upgrading to an 11cm bracket if you have eyelet curtains. The natural fold on the eyelet means you may need a bracket that takes your curtains a little bit further away from the wall. Or if you have a particularly wide windowsill or radiator you may wish for your curtains to sit a little further away from the wall so the 11cm bracket will be ideal. There is also a ceiling fix bracket available in the range (below left), and a recess bracket as well (below right). 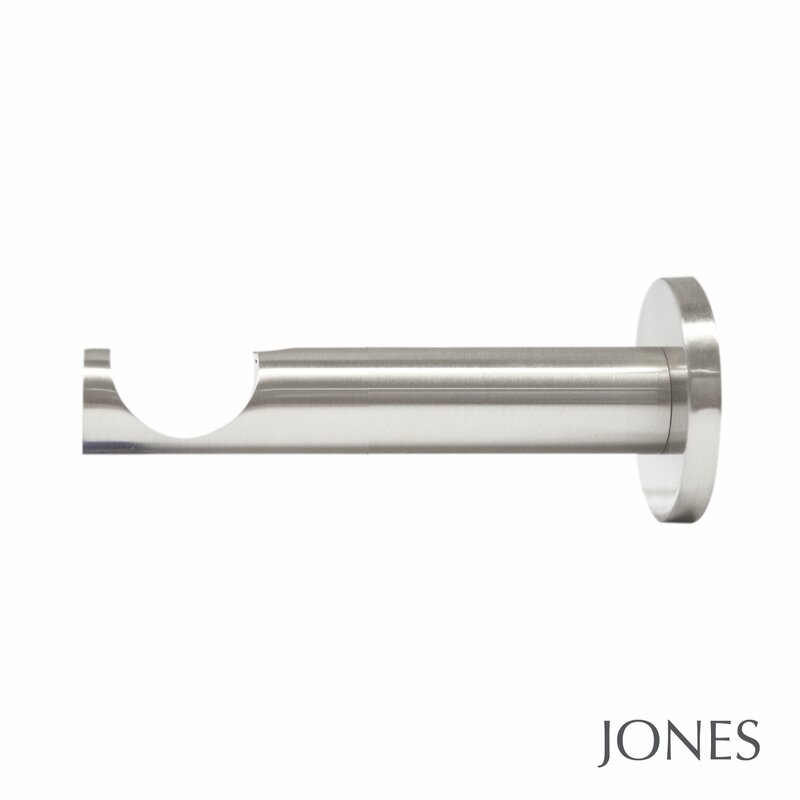 Finally Jones also offer a passover bracket in the Lunar range. This is compatible with the 7cm bracket and is ideal for extra wide windows or bi-fold doors where you have a long curtain pole. You can use a passover bracket in the centre of each of the poles to offer extra support. Please note this is only suitable for curtains that use curtain rings (as the eyelets on eyelet curtains won’t pass over the brackets). Please also note that you will need to use a mix of standard curtain rings and passover rings to ensure the rings passover the brackets. Please call us on 01625 449039 if you’d like any advice on this. The passover bracket can also be used as the centre support if you have one curtain on your curtain pole that you would like to draw from one side all the way over your window / bi-fold door to the other side. Please call us if you have this requirement and we can amend your order to a passover bracket as the centre support so you don’t end up paying for a standard wall bracket that you aren’t going to use. To add the finishing touches to your curtains co-ordinating holdbacks are available in all the different finishes (black nickel, matt nickel, chrome, rose gold & light oak). The holdback is a simple yet stylish disc style holdback. These also work fantastically well as a tie-back hook. Finally, there is also a co-ordinating draw rod available. This attaches to the lead curtain hook and sits behind the curtain when not in use. It is a long, slim pole that enables you to open and close your curtains without having to touch them. This can be particularly useful for delicate or expensive fabrics such as silk, or indeed light curtains that need extra protection from dirty hands! 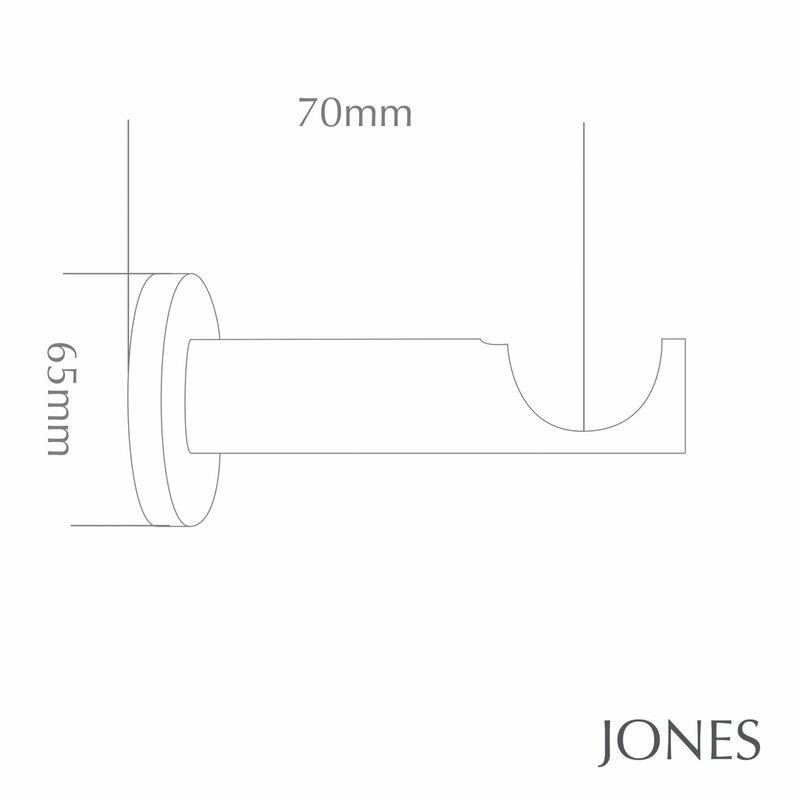 We also offer a cut to size service on the Jones Lunar range of curtain poles. Simply add the ‘cut to size’ service to your basket and let us know in the comments box at the checkout what length you would like your pole(s) cutting to. 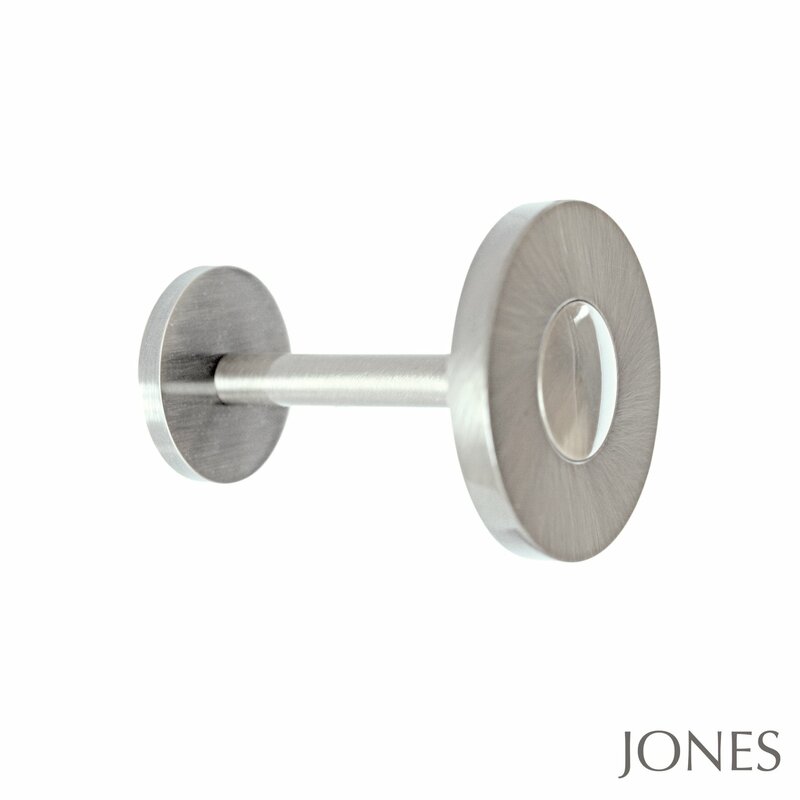 The Jones Lunar curtain poles are available on a next working day delivery service (there is a 4pm cut off for the next day delivery), and there is free delivery on orders over £95. If you’d like your delivery on a particular day (Monday to Friday) please let us know in the comments box at the checkout and we can ensure delivery is set up for your requested day. Saturday delivery is available at an extra charge. Please let us know if you have any questions, need any advice, a quotation for a bespoke request or would like any ring samples sending out.